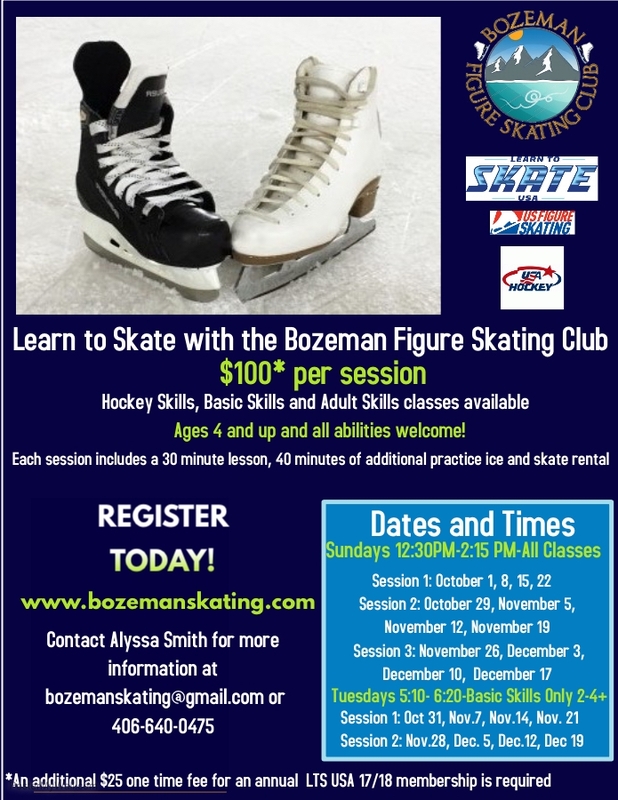 Learn to Skate with the Bozeman Figure Skating Club! Snowplow Sam. Basic Skills, Hockey Skills, Adult Skills classes are available. Classes are for ages 4 to adult and all abilities! 4 weeks to 12 weeks sessions and skate rental is included. Contact bozemanskating@gmail.com or call 640-0475. 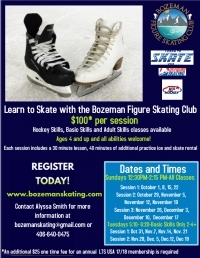 Registration is also available through our website, www.bozemanskating.com. See you on the ice!